A Thessaloniki lawyer, mediator and negotiation consultant, who is an advanced mediation trainer, lead-trainer at Kedip, traner of trainers and 2011 JAMS Foundation Weinstein International fellow. 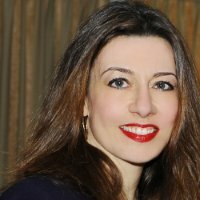 Dimitra frequently publishes articles and contributed to various publications on the field of ADR. She has worked as a researcher within the framework of mediation projects funded by the European Commission. Moreover she is a frequent speaker in international conferences, events, trainings and projects in Europe, the USA and Asia. Dimitra K. Triantafyllou (Ms) (owner [since 1996] of ‘ Dimitra K. Triantafyllou Law Office’ in Thessaloniki, GR) is a practicing lawyer in Greece in the field of corporate, business and commercial law, (Bachelor in Law at Aristotle University of Thessaloniki, GR), specialized in South Eastern European Region (LL.M at Democritus University of Thrace, GR). She is also specialized in the ADR, conflict and crisis management & prevention field, holds a diploma on Decision Making, Crisis Management & Negotiation (University of Macedonia, GR), is an IMI certified mediator and mediation advocate, an accredited civil & commercial mediator (with ADRgroup, UK and Toolkit Company, NL) and Family mediator (with ADRgroup, UK), is a ACB Credentialed Mediator (NL), has done further training on Mediation and Dispute Resolution Systems Design (Harvard’s Law School training on Mediation, UC Hastings Summer Institute on Court ADR and Straus Institute for Dispute Resolution at Pepperdine University School of Law, USA), business mediation training (ISBM, AT), is an accredited advanced mediation trainer (Toolkit Company, NL), is a trained Negotiator (Harvard's Law School trainings, on Basic and Advanced Negotiation and on Negotiation for Senior Executives, USA), is a trained International Commercial Arbitrator (The CIArb North American Branch) and is trained on "Conflict diagnosis and intervention techniques" (SSR, NL) and on "Neuroscience and Mediation" (Scientific and Methodological Center of Mediation and Law, RU). Introduction When you are doing business in Greece you can rely on a well regulated two-track Alternative Dispute Resolution mechanism that delivers services both in the Court-connected as well as in the outside of the Court scheme.